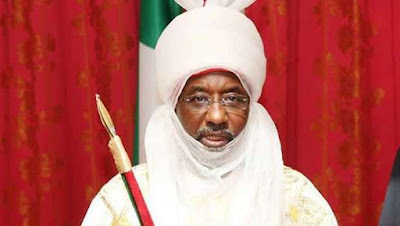 The emir of Kano, Muhammadu Sanusi II, has sacked palace secretary, Isa Sanusi Bayero (Isa Pilot), for allegedly leaking information from the palace. A senior figure in the emirate, who spoke to Leadership on the condition of anonymity, said the sacked secretary was behind most negative stories emanating from the emirate. According to the source, the palace secretary leaked all the financial dealings of the emirate to an online publisher, adding that his actions fanned the recent crisis between the emir,Kano State government and the State House of Assembly. Leadership gathered that a day to the suspension of the emir’s probe by the state assembly, the said, Isa Pilot was seen packing from the office he has been an occupant since the time of the late emir Ado Bayero. READ The German Foreign Minister, Sigmar Gabriel is not quite impressed with the Donald Trump led administration. A source in the office of the sacked secretary confirmed to Leadership reporter that it’s no longer news in the palace that the former palace secretary was antagonistic to emir Sanusi, and was responsible for most of the leaks coming out of the palace. “The recent rift between Emir Sanusi and Kano State government exposed the mole role so much to the level of leaking official documents to the media. It was also gathered that the emir’s younger brother,Mustapha, the newly appointed ‘Falaki of Kano’ and also an in-law to late emir Ado Bayero, took over as the emir’s secretary with immediate effect.